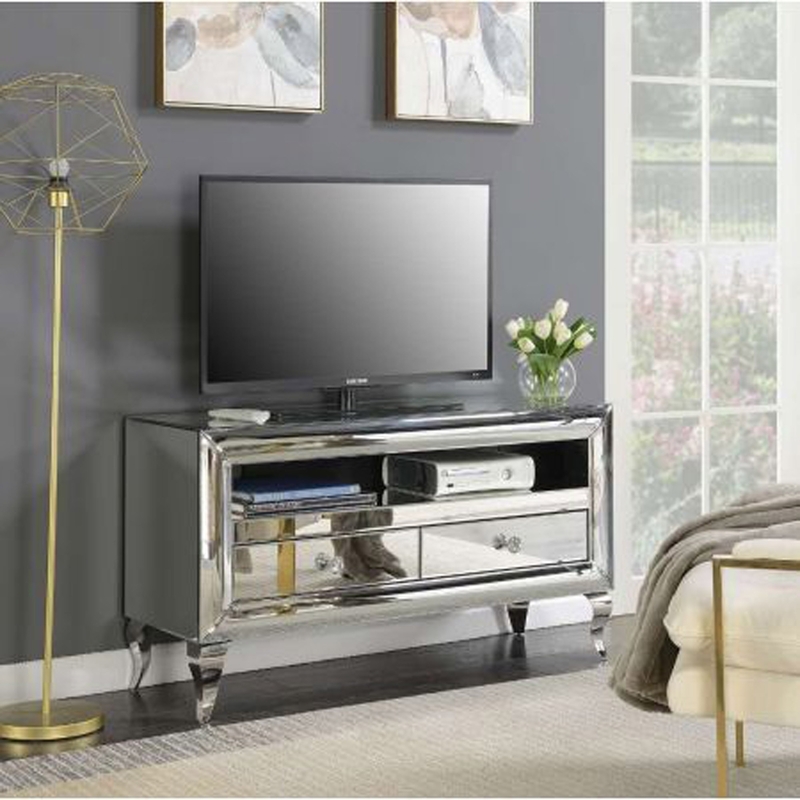 This is a stunning and beautiful mirrored TV unit , it is a beautiful tv unit with a angled and has a very modern look. This is a pretty piece of furniture and a great design to have your tv rested on. Making this one of the most attention grabbing pieces of furniture you could have in your room. This unit is coming from the Monroe collection.